This may be an item for your blog as requested. This is a woven square of wool which belonged to Marlyn’s grandmother. This would make it well over 100 years old. Marlyn’s grandmother came from Perthshire in the East of Scotland. The nearest big city was Dundee which was a town famous for weaving jute into sacks. Thus there was a tradition of weaving and this rug may well have been hand woven. 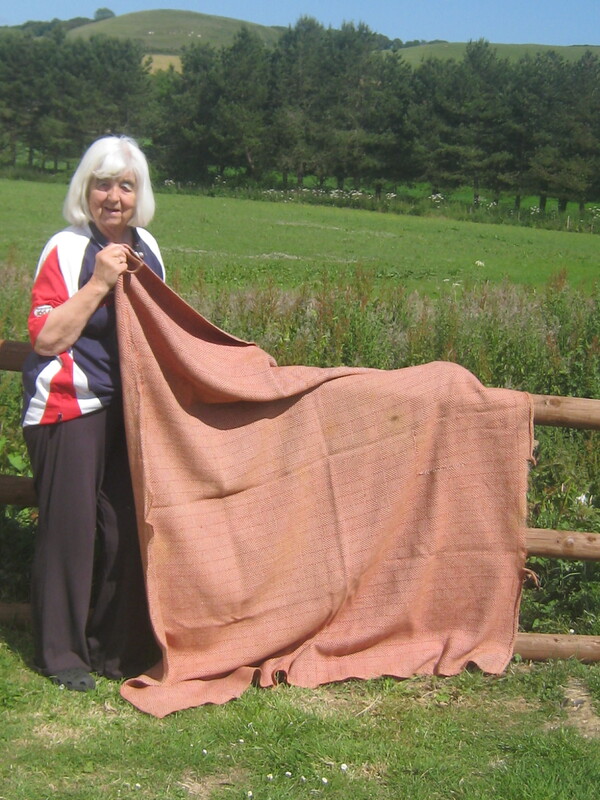 It is a very simple pattern and has mostly been used by us as a picnic blanket. It does have a hole which I made when I slammed the door of the trunk down on it whilst it was in the car. M carefully sewed it up. J. Thank You for sharing something so treasured. An honor to publish!